Today begins the Philip’s Fast (Pylypivka), the pre-Christmas fast – the day after the feast of Saint Philip, which was yesterday. The Byzantine Church identifies The Holy and All-Praiseworthy Apostle Philip as one who prepares us for the great time of the year: the Nativity/Theophany of Our Lord. Saint Philip is known as having a deep knowledge of the Sacred Scripture, who had the capacity of discerning the meaning of the Old Testament prophecies in light of the coming of the Messiah. 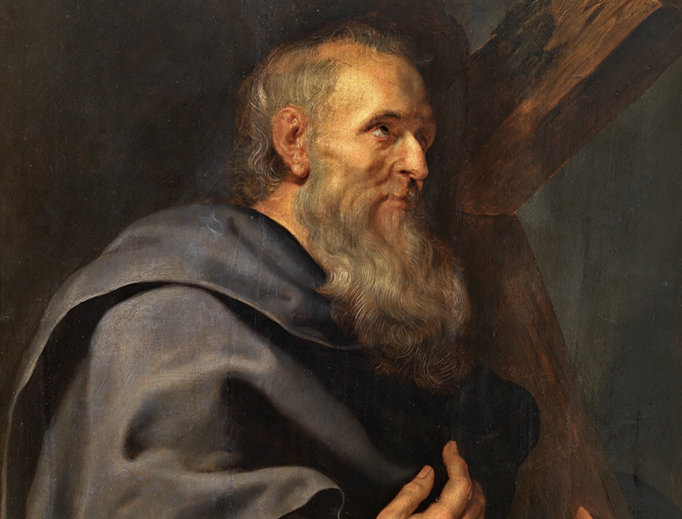 Key to this period of preparation is connected to the Apostle Philip because one of the things he is remembered for is the bringing of Nathaniel to Christ, and thereafter Nathaniel becomes an Apostle. Likewise, and critically, Philip brings us to Christ and we become apostles of Christ. He exposes our betrayals of faith and heals them. Thus, you can say that Philip leads all of us into greater communion with the Lord, THE only source of our salvation. Let is ask Saint Philip for the grace of conversion for Pylypivka. The Philip’s Fast (Pylypivka) is a 40 days period of spiritual preparation for the celebration of the Nativity/Theophany cycle of the church year. It is a voluntary fasting and works of penance and charity but it was once a period of strict fasting. Some further information with the prescriptions for following the Fast found here. At the Divine Liturgy, Father Iura will wear dark vestments because it is the norm for this penitential season with exception of Saturdays, Sundays and feasts of the first class.